The hotly-anticipated final phase of the Concord CityPlace Master-planned condominium community is almost here. This condo project, by Concord Adex, is coming soon to the corner of Spadina Avenue and Bremner Boulevard. 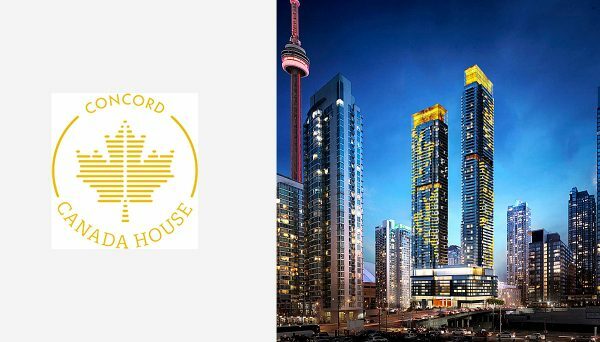 Concord Canada House Condos will be welcoming occupants in 2021. Don’t miss your chance to invest in this Entertainment District Condo project, a favorite among the city’s savvy urbanites. 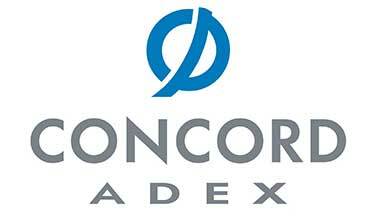 Currently the site of Concord Adex’s presentation centre, the project will eventually feature two glittering skyscrapers, 59 and 69 storeys each, atop a 10-storey podium that will contain retail, office and some residential space. This new condo project will have approximately 1,364 units, with a wide variety of suite sizes. As it stands, the breakdown of units includes 808 one-bedroom and one plus den units, 418 2-bedroom units and 137 3-bedroom units. The rest of the CityPlace development, which consists of several buildings to the west and south of 23 Spadina Avenue, features suites with panoramic windows and modern fixtures and finishes. Suites range from compact studios to lavish two-level penthouse units with private elevators. Amenities in these towers will be some of the most lavish in the entire community, spread out between the fifth, 7th, 8th, 9th and 11th floors of the podiums. They include an expansive indoor pool with floor-to-ceiling windows, basketball and badminton courts and a fully-equipped fitness centre. An elegant party room overlooking the city with a wet bar that rivals some of the district's hottest restaurants makes a perfect place to entertain your friends and family. A massive 16,000-square-foot outdoor terrace on the podium's rooftop provides plenty of space for lounging and private dining, making for a resort-inspired feel. Approximately 724 parking spaces will also be included, housed in an underground parking garage, along with 1,569 bicycle spaces. The podium space will house 23 office units and 10 retail units, making for a truly mixed-use development. When you join the CityPlace community by investing in this project, you’re immediately part of an established and vibrant urban community. When you’re not using the building’s carefully-conceived amenities, you can walk out your front door into the Entertainment District and find some of the city’s hottest restaurants, bars and clubs at your fingertips. You’re steps from the city’s waterfront and several marinas, and a walking path that takes you across the entire downtown harbor. The 24-hour Spadina streetcar stops right outside this building, and both Union Station and St. Andrews Station are within walking distance. World-class entertainment is blocks away, including the Roy Thompson Hall, the Royal Alexandra Theatre and the Rogers Centre. The city has even talked about building a 21-acre park spanning over the rail tracks just north of Spadina and Bremnar, a feature that would be comparable to New York’s Central Park. The city has committed to building on the strength of downtown Toronto as a premier employment center in the GTA, which means providing a full range of housing for the many residents who work downtown. Take advantage of this desirable urban location today and see why so many Torontonians compete to call CityPlace home. This downtown pocket boasts some of the highest rental rates in the city, which is great news for those who are looking for an income property. Though it's an exciting and dynamic neighbourhood as it is, we've seen a lot of exciting proposals planned for the area, including a master-planned community that will add upscale retail and office space, and three contemporary hotel/condominium developments a short distance away. 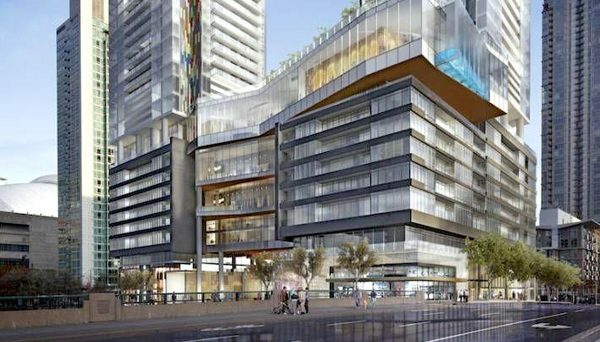 Yet another major development plans to add residential space, gallery and retail space and a new teaching facility for OCAD University's art programs. We're excited to see how the area evolves to accommodate even more density and cultural attractions.